Our Tasting Room is open for public tastings Tuesday through Thursday 4-8pm and Saturday 1-6pm. Please visit our facebook page for any closings, updates, and/or special events. Well-behaved children are welcome. Friendly dogs are welcome on leash. 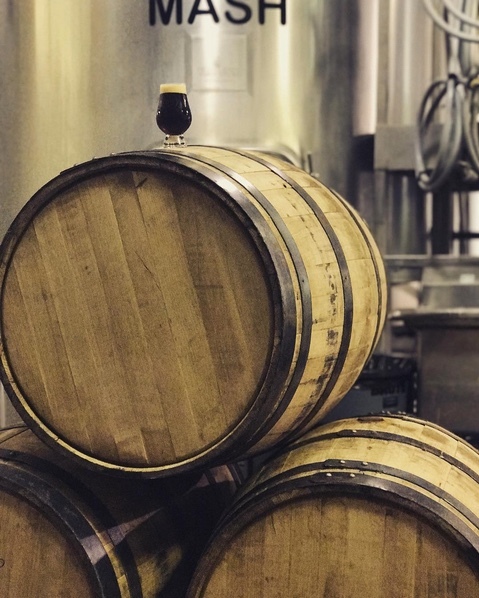 Tours are $15 including (6) tasting tokens and an Arches Brewing souvenir glass. We hand-bottle a limited number of styles for to-go tours. Prices vary based on bottle format & style. 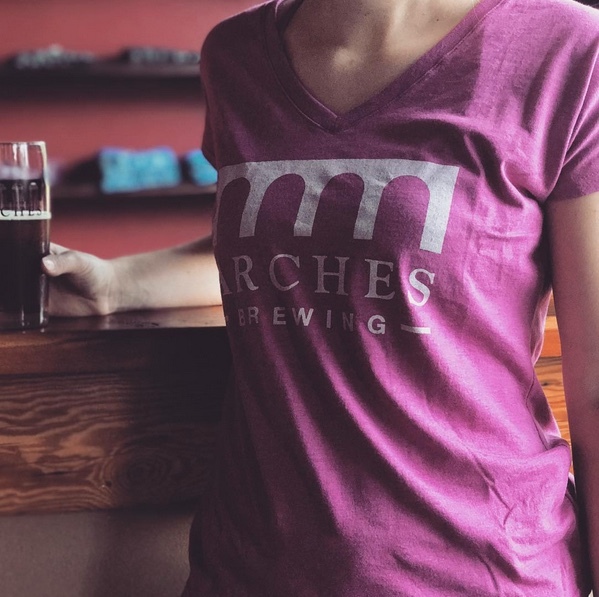 Arches Brewing is a craft brewery located just north of the Atlanta airport, in the arts district of Hapeville, GA. Our focus is bringing the best of old-world and modern brewing practices together to deliver many beer styles never commercially brewed in Georgia. Our biochemist-brewmaster, Jamey Adams, brewed his first batch of beer over ten years ago with the idea that beer could be made better through chemistry. 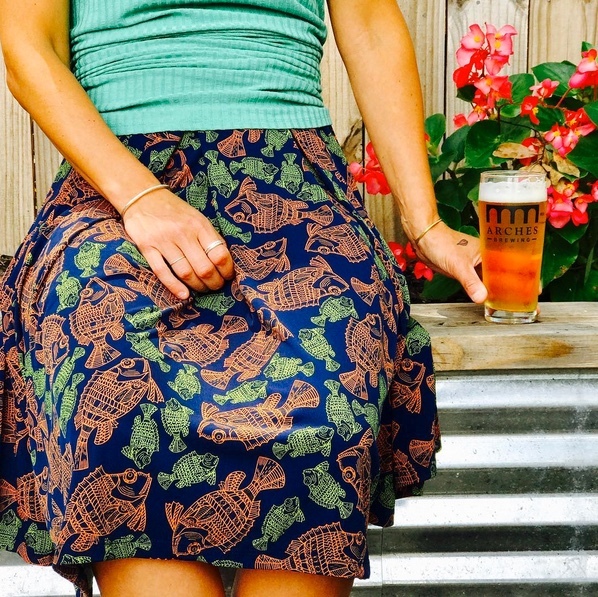 Through many hours of brewing and tasting, we now have over 30 different distinct recipes. We have a strong emphasis on classic & seasonal lagers, but also make many American styles along with several strong Belgians. We believe doing things the old way makes for a cleaner, more complex and balanced, delicious end result. We offer many year-round styles along with many seasonal lagers which follow the European brewing calendar. We will also offer specialty and limited-release beers throughout the year available only at the brewery. 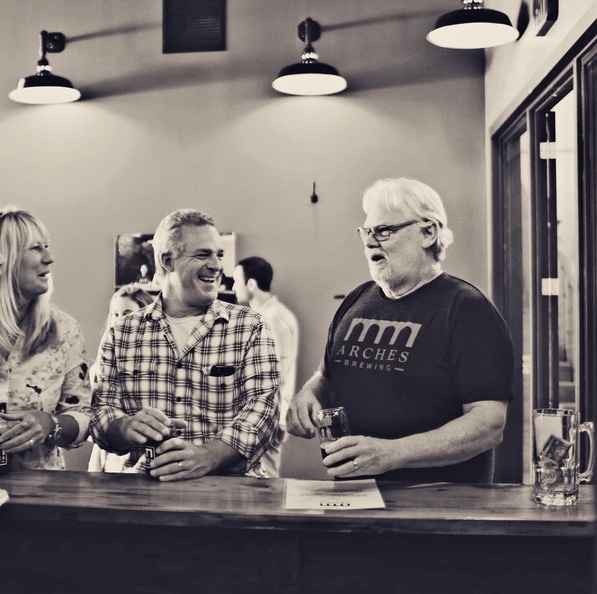 The name Arches Brewing celebrates our long history as home brewers. Over the past decade, each recipe has been carefully developed, refined, and brewed under the four brick arches of Jamey's 1920 Colonial-style home in East Point, GA. Our logo was inspired by two of our core values, simplicity and quality. 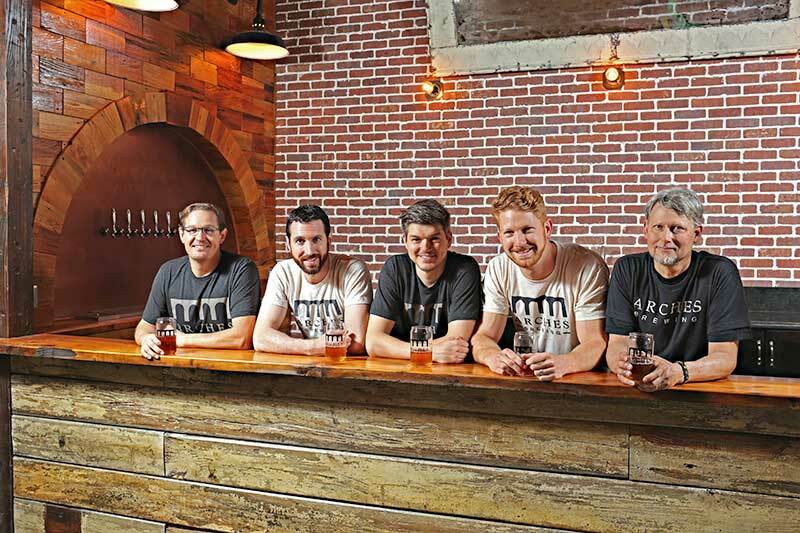 Each pillar represents one of our five founders of Arches Brewing.